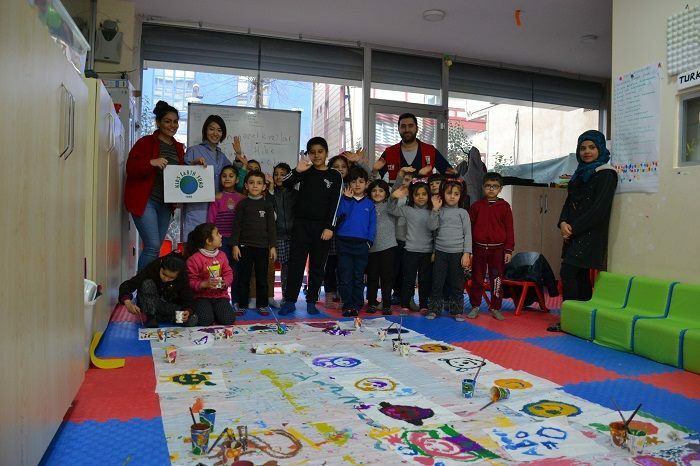 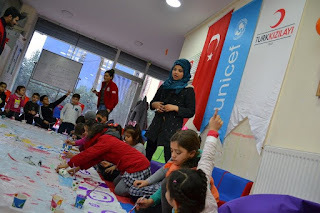 Art workshop with Syrian refugee children at Turkish Red Crescent located in Bagcilar, Istanbul. 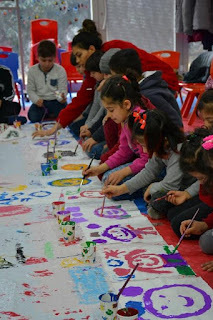 They were so quiet at first but gradually making their favorite colors and had a fun time. They are acquiring literacy in Turkish language to accustomed to new land.